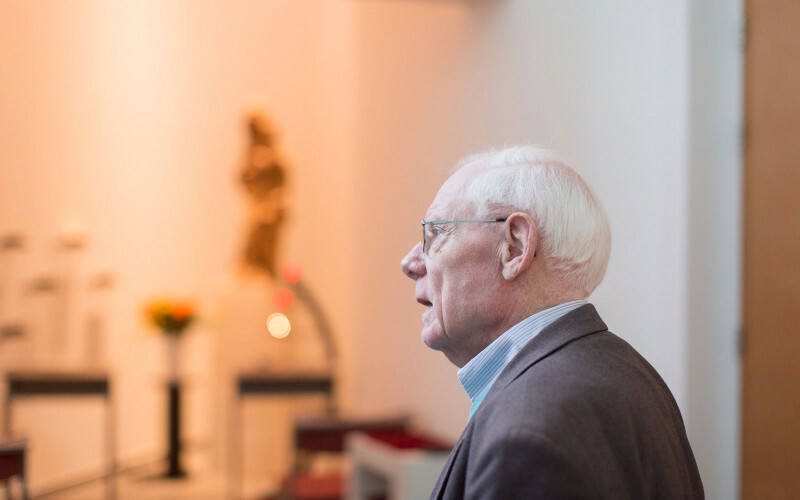 Mariënhage is one of Eindhoven’s oldest hidden treasures. 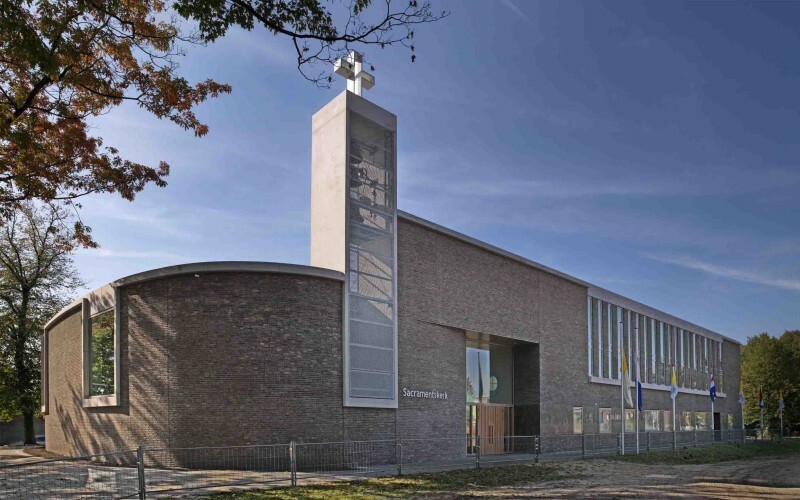 Commissioned by the DELA cooperative, the Paterskerk, the former Augustinianum and the Studentenkapel are being transformed into a contemporary setting, one that not only evokes memories, but also provides space for a diverse programme of funeral and wedding ceremonies, concerts, congresses, lectures and religious services, the new DOMUSDELA. There will be two ceremony facilities, a congress hotel and a restaurant. The garden will be open to the public and will also be accessible from the direction of the NRE site via a bridge over the Dommel. The municipality gives Kanaalstraat a new identity. 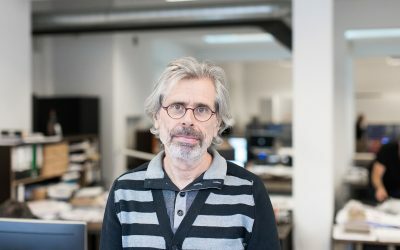 The design and construction phases will focus not just on openness, light and transparency, but also on respecting the buildings’ historical value. As many of the old features as possible are to be retained. Any intervention will serve first and foremost to make the building more accessible, better suited to its new function, and more future-proof. 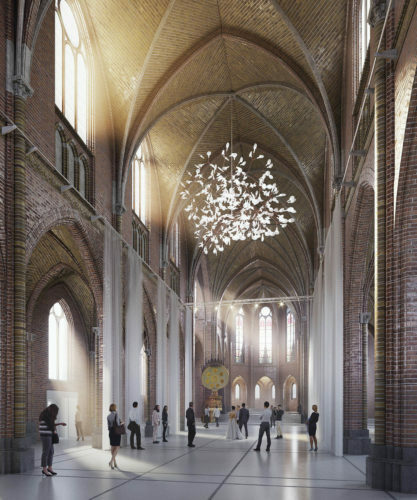 The main intervention will be the creation of a connecting element, a space to connect the Paterskerk church to the Augustinianum buildings nearby. This space, which will be functioning as a foyer and reception room for the ceremonial rooms and conference hotel – is planned as a light, transparent space that will open up the formerly private set of buildings to the city. 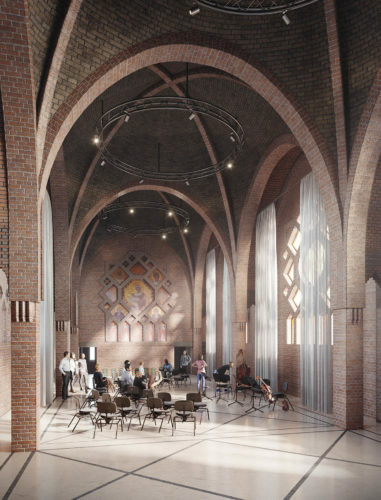 Three stretches of urban space will be connected: the Kanaalstraat that will be extended to become a boulevard, the monastery gardens with their historical elements, and the central courtyard of the Augustinianum that will be laid out as a public space. The light, monochromatic architecture of the new construction will form a focal resting point alongside the existing architecture’s more sumptuous and colourful look. Skylights and recesses in the walls will reveal the detailing on these monuments. The existing listed heritage buildings will be renovated in style and adapted where necessary. 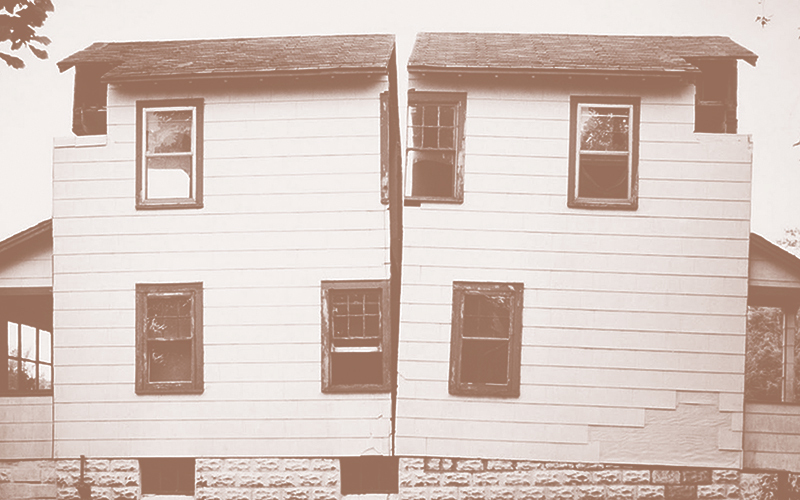 New interventions will be legible as contemporary adjustments. Removing all fixed benches as well as a good deal of the religious paraphernalia will turn the church into a space suitable for multiple uses. Adding windows in the wall and the side aisle, where currently the confessionals are situated, will open the church space out to the city. The main adaptation to the former Augustinianum will be to open out the floors to create a central double-height lobby as a reference point. This is also where the high altar from the Paterskerk will find a new home as a display piece.